Did you know there are a reported 458 different bird species in our state? We think that's awesome! If you love watching birds, you can consider yourself a birder. The definition of this term is broad, diverse, and inclusive! Maybe you enjoy watching urban birds from your office window, or follow the habits of backyard birds from the comfort of your kitchen table. Or maybe you're a voracious "lister" who will jump in a car at a moments notice to see a rare migrant. No matter your style, the world of birding has something for you. Birding is defined as the observation of birds in their natural habitat as a hobby, and "birder" is the name for individuals who enjoy this hobby in all of its many forms. There's no right or wrong way to bird (yep, it's a verb, too! ), though there is a birder's code of ethics to birding. 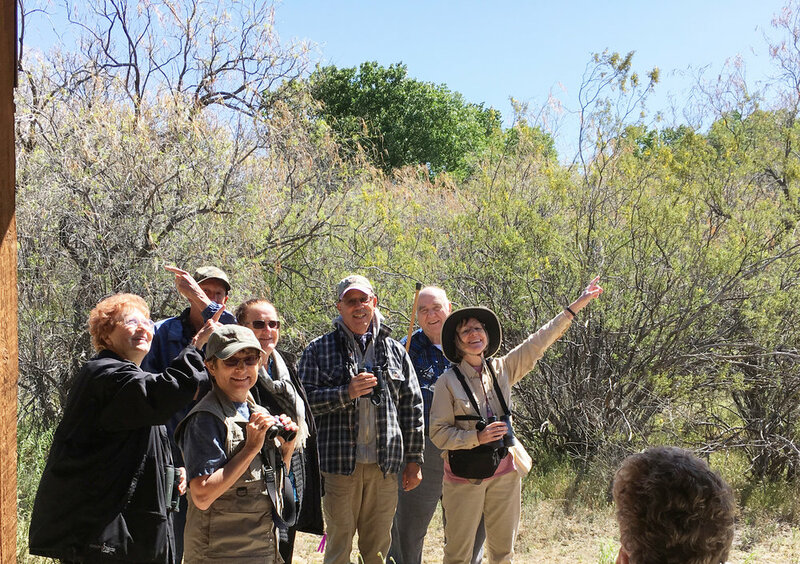 One of our goals at Red Cliffs Audubon is to encourage birders of all types, ages, and skill levels in their pursuit of this fantastic hobby. $107 billion is spent on birdwatching equipment and travel in the U.S.
666,000 jobs are created due to birdwatching. $13 billion in local, state, and federal tax revenue results from birdwatching. 17.8 million Americans travel to see birds, putting millions into local economies. Below is a short compilation of suggested birding sites, gear, and tips (don't forget to check out our birding resources page, too). No matter what your style, remember that birding is for everyone! One of the beautiful things about birding is the fact that you don't need anything to pursue it as a hobby! Just your eyes and ears. That said, many find that their birding experience is enhanced by optics (binoculars or spotting scopes to bring distant birds into clearer focus) and a few minor outdoor essentials. Below are some helpful resources that can help you choose great gear that's perfect for your personal birding style. To get you started, we can suggest our favorite field guides and apps. Just head over to our BIRDING RESOURCES page to see our top picks! Peterson's Field Guide to Molt - an uber-bird nerd will love this book, which helps you distinguish confusing feather pattern changes due to a bird's age, etc.